Fuseholders / Fuses | UK Electrical Distributors – E. Preston (Electrical) Ltd.
Schurter extends the range of rated currents in the compact high-performance fuse SHF 6.3×32 down to 500mA. 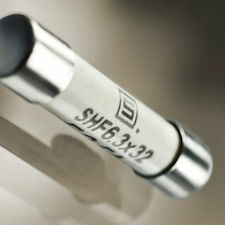 The SHF 6.3×32 is a ceramic fuse for higher voltages (AC and DC) with fast tripping characteristics. 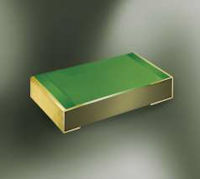 The high dielectric strength and the high breaking capacity of 1500 A opens up new fields of application. Schurter now offers the SHF 6.3×32 in nineteen rated currents between 500 mA and 32 A. The high breaking capacity of 1500 A at a rated voltage of up to 500 VAC/VDC characterizes the fuse. Besides a multitude of applications in the energy and industrial sector, the SHF 6.3×32 is especially suitable for the protection of 3-phase systems. The SHF 6.3×32 is available as a fuse link and a pigtail version (from 1 to 8 A). Fuse links are suitable for mounting in clips and fuseholders, which makes it possible to quickly replace the fuse. 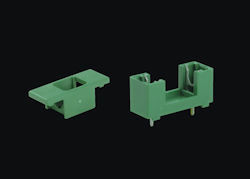 SCHURTER therefore offers an extensive range of clips and fuseholders. The pigtail version allows direct mounting on printed circuit boards using THT soldering technology. 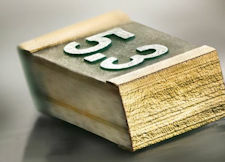 The SHF 6.3×32 can be used as RoHS-compliant fuse for lead-free systems. The compatibility with competitor products allows SCHURTER to offer the SHF 6.3×32 as a replacement product. The fuse is approved by cURus. With the SUT-H, Schurter introduces a new 6.3×32 mm ceramic fuse for single-phase applications for high rated currents from 10 A to 50 A. Thanks to a particularly high melting integral, it is particularly suitable for applications where high inrush currents occur. The new Schurter SUT-H is technically based on the proven SUT. In contrast to the known fuse, the SUT-H has a much higher melting integral, which makes it particularly pulse resistant. High inrush currents, which occur in power supply units, are easily absorbable. The fuse is offered for direct mounting on the PCB with pigtails or with a solid beryllium-copper clip (Schurter CQP), which allows an easy replacement of the fuse without soldering. The clip can be up to a rated current of 10 A. The new 6.3×32 mm SUT-H ceramic fuse opens up completely new areas of application by extending the rated current range up to 50 A and opens completely new areas for innovative applications. However, lead has become an unwanted element according to many environmental initiatives, e.g. RoHS directives. For this reason, Schurter has extended the successful SMD thin-film fuse family MGA with the new –A variant. 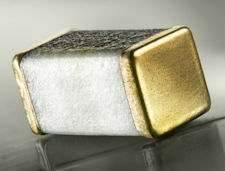 In addition to the classic MGA and the ESA-certified MGA-S space fuse, the aviation version, MGA-A, uses gold alternatively to lead. Gold plated end caps provide a surface where neither whiskers nor dendrites can form. This makes the new MGA-A a safe solution for use in not only highly sensitive electronics in the aviation industry but often suffices for use in the industrial grade space sector. 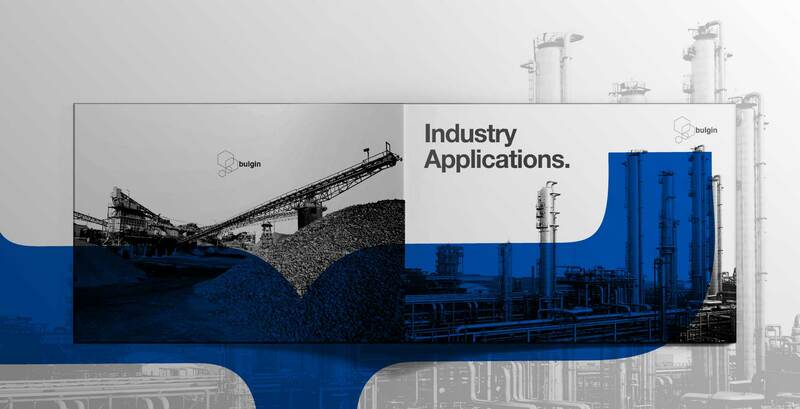 Bulgin is helping its customers to select the right connectors and switches for their applications with the launch of an Industry Applications brochure. Covering the entire Bulgin portfolio – including its broad range of Arcolectric switches – this newly created brochure provides a brief overview of the product lines best suited to each application. The brochure is divided into industry-specific sections – industrial, marine, transport and infrastructure, automotive, medical, oil and gas, data and telecoms, agriculture, renewable energy, recreation and leisure, and appliances – demonstrating the diverse range of settings where you might find Bulgin products. A simple visual guide and ‘at a glance’ descriptions highlight the key features and available options for each product, making it quick and easy to find what you need. 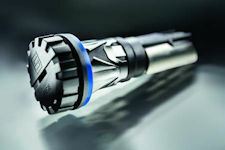 From circular power and data connectors to fuse holders and switches – as well as specialist fittings, such as ROV tether connectors and ATEX rated products – you can rely on Bulgin’s environmental protection expertise and many years of industry experience to provide the right solution for your application. 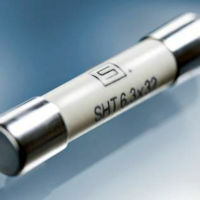 Schurter offers a robust, compact and cost-effective cartridge and pigtail fuse SHT 6.3×32 for high voltages and currents. The high breaking capacity up to 3500 A at a nominal voltage of 250 VAC opens the fields for applications for commercial electric cooking appliances in accordance with UL 197. 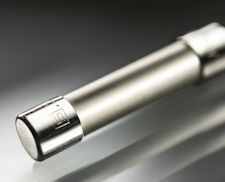 Schurter offers the SHT 6.3×32 in ten rated currents between 1 and 8 A. The high breaking capacity makes the fuse outstanding. In addition to a wide range of industrial applications the SHT 6.3×32 is particularly suitable for a large number of applications in electrical cooking appliances according to UL 197 standard for protection of 1- to 3-phase systems. Schurter offers the SHT 6.3×32 as a fuse link and a pigtail version. Fuse links are suitable for mounting in clips and fuse holders, which makes it possible to quickly replace the fuse without soldering. SCHURTER offers the suitable clips (CQP, OG-Clip, OGD) and fuse holders (FEU FUS, FEC, FUL, FUA and FUP) for this purpose. The most important competitor products are bigger in size (e.g. 10.3×38) and therefore more cost-intensive. That allows Schurter to offer the SHT 6.3×32 and SHT 6.3×32 Pigtail as a replacement product which will reduce size, weight and cost. All fuse holders certified Until October 08 2017, SCHURTER will have adapted the complete range of its IEC-certified fuse holders to the new standard, including power entry modules with fuse holders. This will poise SCHURTER as the first manufacturer of fuse holders ready to meet the stringent standard. Customer-friendly Schurter has placed great attention on the fact that the same part numbers will be used. This makes it unnecessary for the user to make changes to a parts lists, or be deal with new approvals. – The manufacturer will lose VDE approval after October 08 2017 for any parts that do not conform with the new requirements for IEC / EN 60127-6 Edition 2 and therefore must no longer sell those products. – All parts the manufacturer already sold to market (i.e. to end-customers, distributors or resellers) before October 08 2017 maintain valid VDE approval. – All mixed inventory at end-customers, distributors or resellers can continue to be used or shipped or resold without any limitation. Due to the ever-increasing packing density in power electronics, it is becoming ever challenging to deal with the resulting tighter and hotter board real-estate. Automobile manufacturers increasingly use control units in their products, including power electronics (e.g. ABS modules, annealing time control units and actuators). The trend is to integrate as many functions as possible into the smallest possible space in a single module. The fact that such modules must be protected against overcurrent is self-evident. However, the increasing power density also entails thermal requirements. For this purpose, new approaches are needed to avoid a creeping risk of overheating. The USN 1206 from SCHURTER is not a pure thermal fuse. It requires a current flow to blow, thus providing protection against overcurrent just as well as any conventional fuse. In addition, it is also designed to protect power semiconductors in automotive applications against over temperature. The fuse has a current-time characteristic which shifts as a function of the ambient temperature. As a result, a specific trigger at a certain threshold value can be achieved increasing temperature. The USN 1206 from SCHURTER has high I2t values at 32 VDC and a slow blowing characteristic. The USN 1206 temperature-sensitive SMD fuse is reflowable at 245°C according to IEC 60068-2-58. The epoxy glass housing makes it tight against the potting compound. Thus, the fuse is also suitable for explosion-proof applications according to ATEX / IECEx. The production and qualification of the fuse is carried out in agreement with the customer according to the requirement profile of the desired time-current trip characteristic as a function of the ambient temperature. The new Schurter USN 1206 is particularly suitable for automotive applications requiring the highest reliability under particularly difficult conditions (heat, vibration, mechanical and cyclic strength). In addition, it is also used wherever temperature-critical processes occur, or even when a specific intrinsic characteristic is required. Schurters’s new High Current Fuse, HCF, is an extremely robust SMD fuse, designed using solid-state / thin-film technology. The HCF is especially suited for use in particularly harsh applications, where the reliable interrupt of high currents is critical. Schurters’s experience, acquired from the development of solid-state fuses for the space industry, and the cooperation with ESA, have led to the development of the HCF. The new HCF has a similar structure as the two ESA-certified types Schurter MGA-S and HCSF. Fuses used in Space applications meet the most rigorous performance requirements, with only the most advanced, most reliable technologies available. However, the intensive screening of each individual fuse, which is essential requirement for space applications, is not necessary with the HCF for non-Space applications. This leads to a substantial reduction in the cost per fuse.